Actor Woody Harrelson's father, Charles Harrelson, died of a heart attack in the Supermax federal prison where he was serving two life sentences for the murder of a federal judge, officials said Wednesday. Charles Harrelson, 69, was found unresponsive in his cell on the morning of March 15, said Felicia Ponce, a Bureau of Prisons spokeswoman in Washington. Fremont County Coroner Dorothy Twellman said an autopsy showed Harrelson had severe coronary artery disease. She said he probably died in his sleep. "It appears it was very sudden." 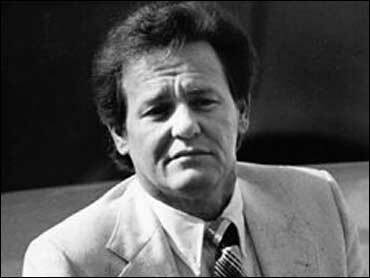 Charles Harrelson was convicted of murder in the May 29, 1979, slaying of U.S. District Judge John Wood Jr. outside his San Antonio home. Prosecutors said a drug dealer hired him to kill Wood because he did not want the judge to preside at his upcoming trial. Charles Harrelson denied the killing, saying he was in Dallas, 270 miles away, at the time. Wood, known as "Maximum John" for the sentences he gave in drug cases, was the first federal judge to be killed in the 20th century. Charles Harrelson was transferred to Supermax, the highest-security federal prison, after attempting to break out of an Atlanta federal prison in 1995. Other inmates at Supermax, about 90 miles south of Denver, include Unabomber Theodore Kaczynski, Oklahoma City bombing coconspirator Terry Nichols and Olympic Park bomber Eric Rudolph. His son got his start in acting as Woody the bartender on TV's "Cheers" beginning in 1985 and went on to star in films including "Natural Born Killers," "White Men Can't Jump" and "The People vs. Larry Flynt." Woody Harrelson's publicist did not immediately return a call seeking comment Wednesday. The actor was just 7 when his father was first sent to prison, for murdering a Texas businessman. He was in college when his father was convicted of the judge's assassination.